It's not often a 2 bath unit becomes available at Riverside Club! This unit is set up for 3 bedrooms, offers AC that is 2 years old and master bath refurbished 3 years. It has been freshly painted with new window treatments. Additionally, hurricane shutters have been installed. 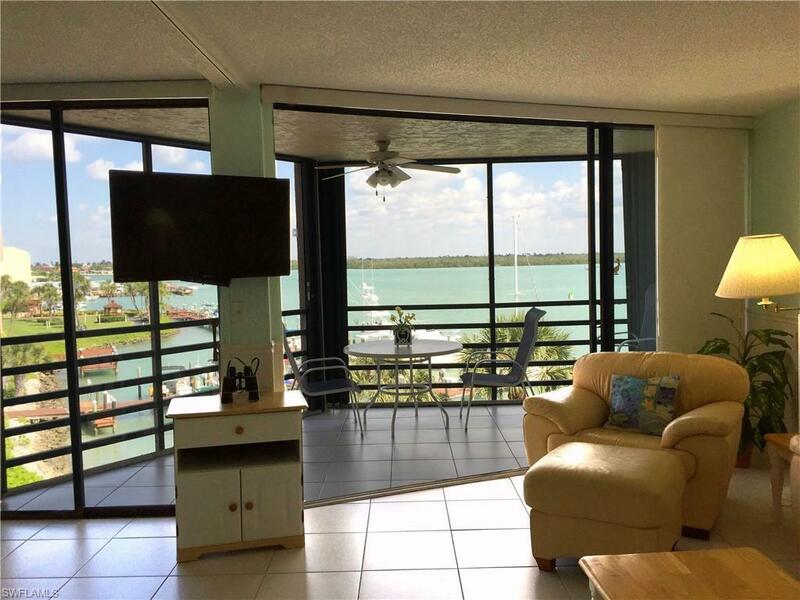 Riverside Club is a one-of-a-kind gated community on Marco Island offering some of the best of amenities for Island living. 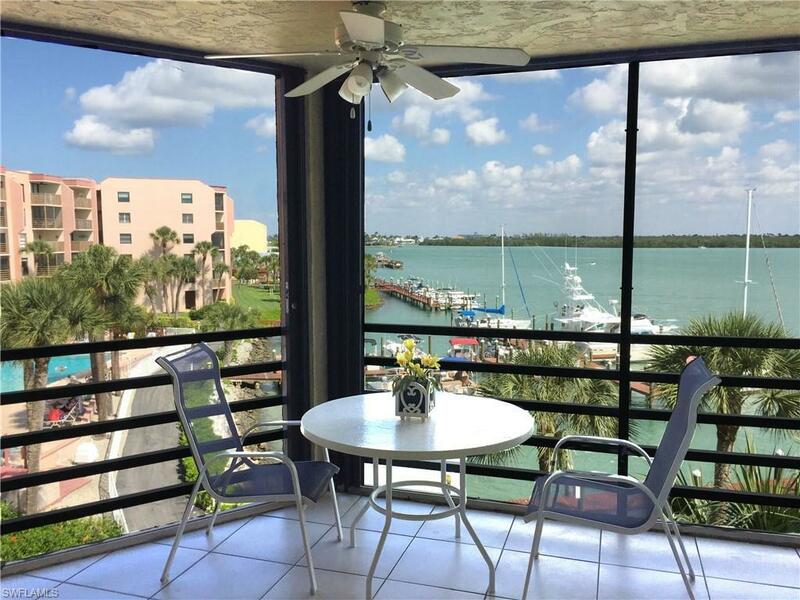 Located in quaint Olde Marco, you will enjoy watching the dolphins, boat traffic and wide water views as you relax and take in these sites right from your lanai. The most spectacular sunrises over the water and Jolly bridge will greet you every morning as it sores over the mangroves. 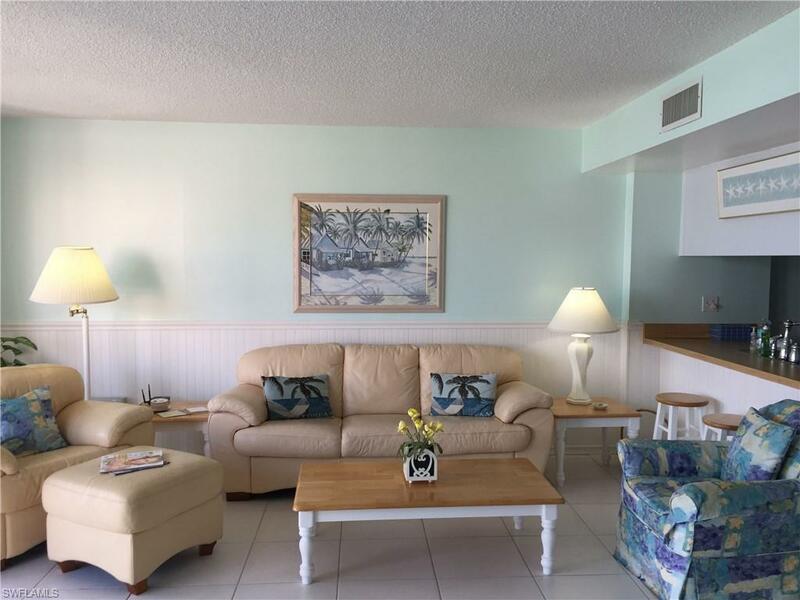 This beautiful condo is just minutes from the Gulf and within walking distance to shops and restaurants. 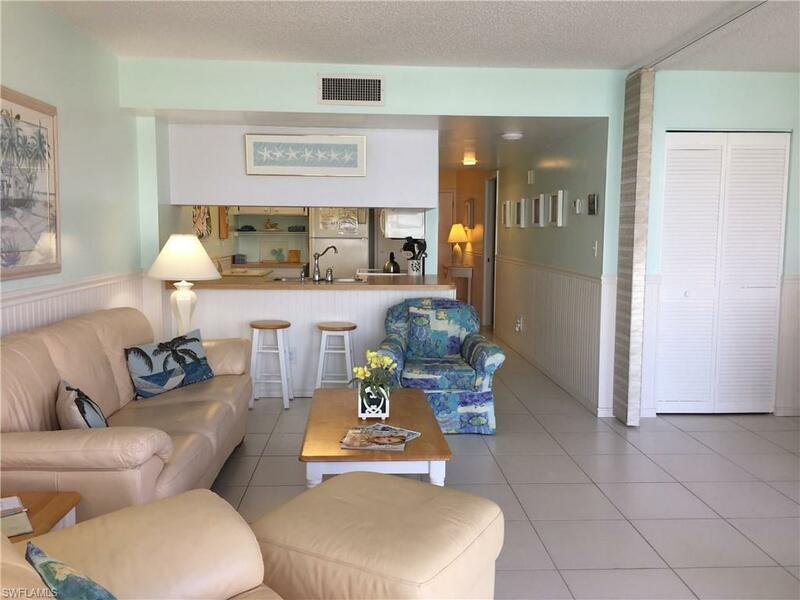 Amenities include, but are not limited to, waterfront pool and spa, tennis/pickle ball courts, fishing from the docks and the Pelican Pier Clubhouse. Electricity included in monthly maintenance. Boat lease available for only $200/year. Covered parking is available with this unit for an additional $35,000 (under A building #70).Supra box attached.